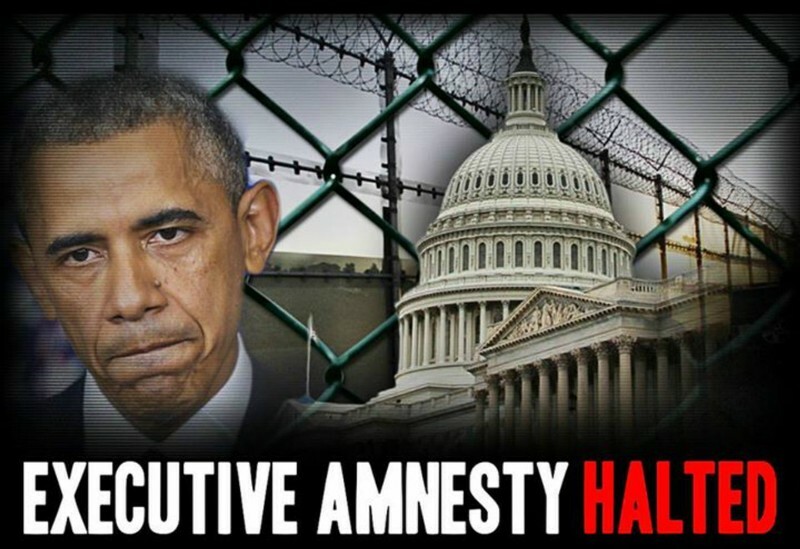 Texas Federal Judge Andrew Hanen issued a temporary injunction halting the Executive Amnesty program announced last year by President Barack Obama. Texas Governor Greg Abbott and Attorney General Ken Paxton responded to the late night decision by the judge. The ruling came in response to a lawsuit filed on December 3rd, 2014, by then Texas Attorney General Greg Abbott (now Governor Abbott) on behalf of the State of Texas. At the time of the filing, Texas was joined by sixteen other states. That number has increased to twenty-six states, more than half of the country. 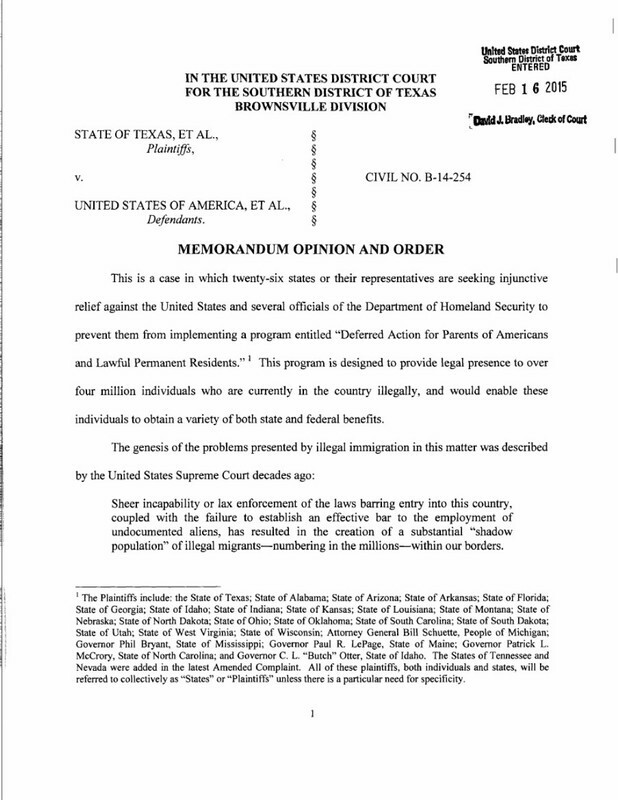 The Judge ruled that “at least one plaintiff has satisfied all the necessary elements to maintain a lawsuit and to obtain a temporary injunction.” This means that, not only can the lawsuit continue, but the judge has ordered that the President or the Secretary of Homeland Security cannot take action on the DAPA program. “The United States of America, its departments, agencies, officers, agents and employees and Jeh Johnson, secretary of the Department of Homeland Security; R. Gil Kerlikowske, commissioner of United States customs and Border Protection; Ronald D. Vitiello, deputy chief of United States Border Patrol, United States Customs and Border Protection; Thomas S. Winkowski, acting director of United States Immigration and Customs Enforcement; and Leon Rodriguez, director of United States Citizenship and Immigration Services are hereby enjoined from implementing any and all aspects or phases of the Deferred Action for Parents of Americans and Lawful Permanent Residents,” the injunction read. The other states joining Texas in the lawsuit are: Alabama, Arizona, Arkansas, Florida, Georgia, Idaho, Indiana, Kansas, Louisiana, Maine, Michigan, Mississippi, Montana, Nebraska, Nevada, North Carolina, North Dakota, Ohio, Oklahoma, South Carolina, South Dakota, Tennessee, Utah, West Virginia, Wisconsin.